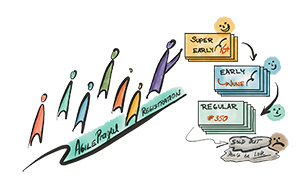 The next year of Agile Prague Conference is going to be Sep 16-17, 2019. Agile Prague 2019 Registration is opened! 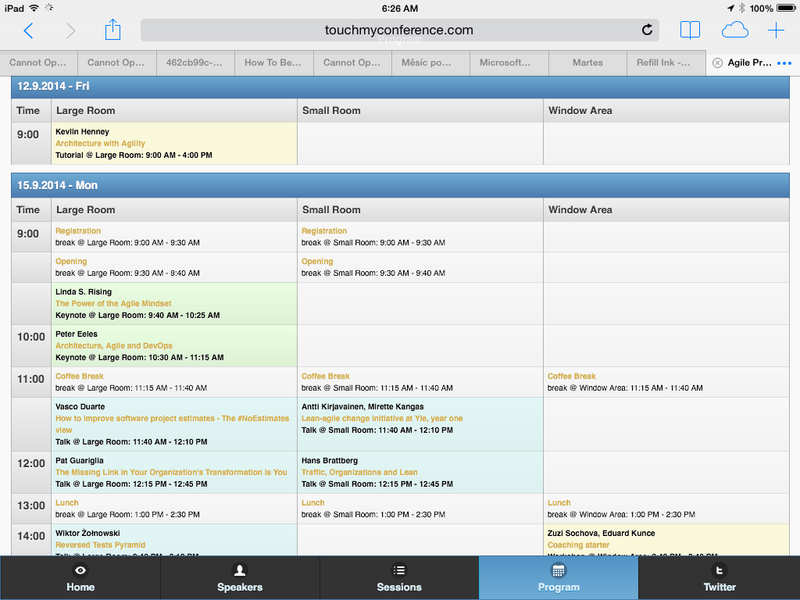 See the program on your touch device. The conference is on September 16-17, 2019 at OK System Conference Center, Na Pankráci 125, 140 21 Prague 4 - Pankrac. This year we are going to introduce over 30 speakers from all around the world. The conference is running in two parallel tracks in two days, where you can choose from the variety of talks for managers, scrum masters, product owners and try agile practices in practical workshops for testers and developers, share the know-how, discuss in open space. 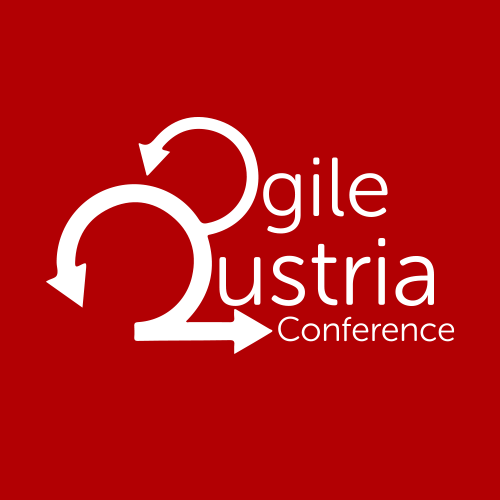 The program is not only about talks, workshops, and games, we are going to present several practical case-studies on Agile adoption. 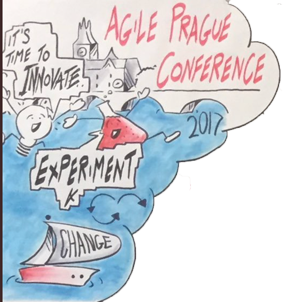 Agile Prague Conference is building a unique collaborative environment where participants not only listen to the speakers but are encouraged to approach them and have a conversation together. Every mid-day there is an Open space where you have an opportunity to discuss topics with each other and speakers. Coaches Clinic is open all breaks and lunches, get help with your unique situation from experienced Agile Coaches. Does it ever happen to you that you wanted to have a talk at the conference, had a great topic in your mind but haven’t been selected? Here is a new chance for you! During the conference, the participants will vote on topics. Any participant can offer a 10min talk they are passionate about. The top 4 lightning talks will be presented on Tuesday afternoon. Topics are chosen by the participants at the Agile Prague Conference.